يشكل Atlantic Byron Bay بموقعه الممتاز في المدينة نقطة انطلاق جيدة لاستكشاف أفضل ما فيها من معالم ومناطق نابضة بالحياة. يقع مركز المدينة على بعد 0.1 km فقط. ويمكن الوصول إلى المطار خلال 30 دقيقة. يشكل هذا الفندق ملاذاَ مريحاً للاسترخاء ويمنح زواره فرصة للاستجمام والتجدد، وهو يقع على بعد خطوات من المعالم السياحية الكثيرة للمدينة. إن الخدمات الممتازة وحسن الضيافة العالي في Atlantic Byron Bay تجعل إقامتك تجربة لا تنسى. يمكن للنزلاء الاستمتاع بالميزات التالية: واي فاي مجاني في جميع الغرف, مطبخ, مدفأة, تخزين الأمتعة, واي فاي في المناطق العامة أثناء إقامتهم في هذا المكان الرائع. يمكن للنزلاء الاختيار من ضمن مجموعة من الغرف المصممة بعناية لتعكس جواً من الراحة، والتي يتجاوز عددها 15. يقدم الفندق خدمات رائعة كمثل حمام سباحة خارجي, حديقة لمساعدتك على الاسترخاء بعد نهار طويل من النشاط والتجوال في المدينة. إن Atlantic Byron Bay هو خيارك لخدمة الفنادق الراقية في المدينة. لا يناسب هذا العقار للأطفال أو الرضع. يوفر مكان الإقامة الدراجات مجانًا وتأجير عدة ركوب الأمواج. I loved the whole experience from the welcoming and friendly staff, to the elegant and well considered design of indoor and outdoor living. It was so peaceful. A real haven, yet right in the heart of Byron. With bikes, boards, a pool and luscious lawns to laze around on, this is the perfect Byron retreat. I could not fault a thing, can't wait to go back. Love it! Our stay at the Atlantic was amazing. We loved our room and the staff were so kind and friendly. We totally recommend the Atlantic and can't wait to get back there. Loved, loved, loved this place! What an amazing escape from the hustle and bustle of real life. There was really no need to leave the complex - it had everything you needed. Thank you Caroline for your kind words. We are so glad you enjoyed your stay. Best wishes from the Atlantic Team. i loved Atlantic Byron Bay and will be going back again for sure! We had a family overnight stay in Byron and found this place friendly with inspiring furnishings and quiet at night to sleep soundly. Thank you for your booking. We know our beds are great for a comfy sleep. Hope to welcome you back some time. Kindest from the Atlantic Team. Beautiful styled boutique hotel in an amazing central location but it's worth about $150-$180 max a night. Full rates are well over $200 due to the following: 1. The walls and doors are very thin and you can hear everything. 2. Communal kitchen area is lovely but for a well priced hotel , it's a bit hostel ish 3. Room I had was small. Little Courtyard made up for it. Generally I would recommend for sure but for the sub $200/ night price range . The setup is ideal, with the shared facilities available to all. Even though the room was nice-sized and comfortable, it was very nice to have all the additional areas to read, roam, relax. Staff was wonderful also. 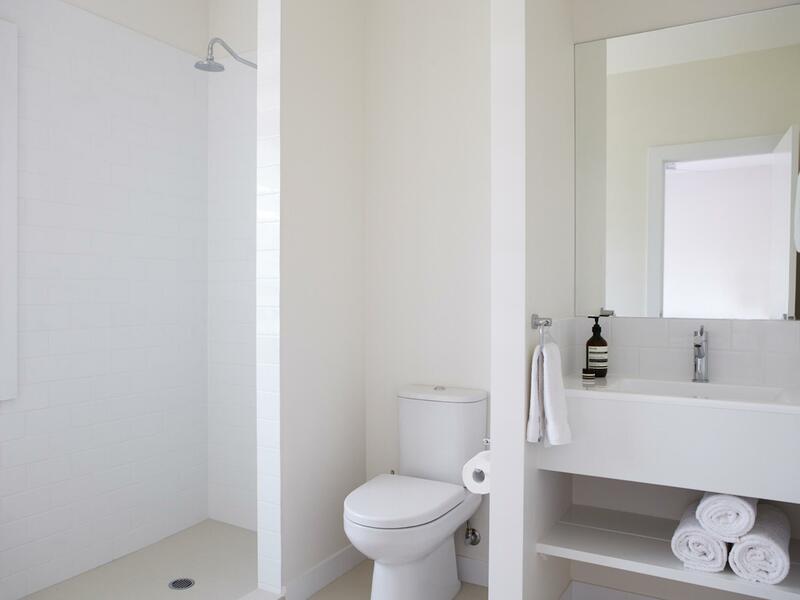 Location is ideal - convenient to all the activity, yet just far enough away for peace and quiet. We loved this property. Fantastic location and staff. The Atlantic is the perfect place to stay in Byron. It offers a beautiful and relaxing ambiance in the heart of town. Close to everything, the beach, restaurants and shops.. It offers the perfect location. With the beautiful surroundings and warm and friendly staff... It is a great and easy place to relax in! love the cool decor and (optional) communal chic vibe . not long enough to have taken it all in. Only one night did not allow for lounging around in the perfectly designed and styled ambience of coastal chic Byron. Classic hotel room right in the centre of town with very friendly staff. 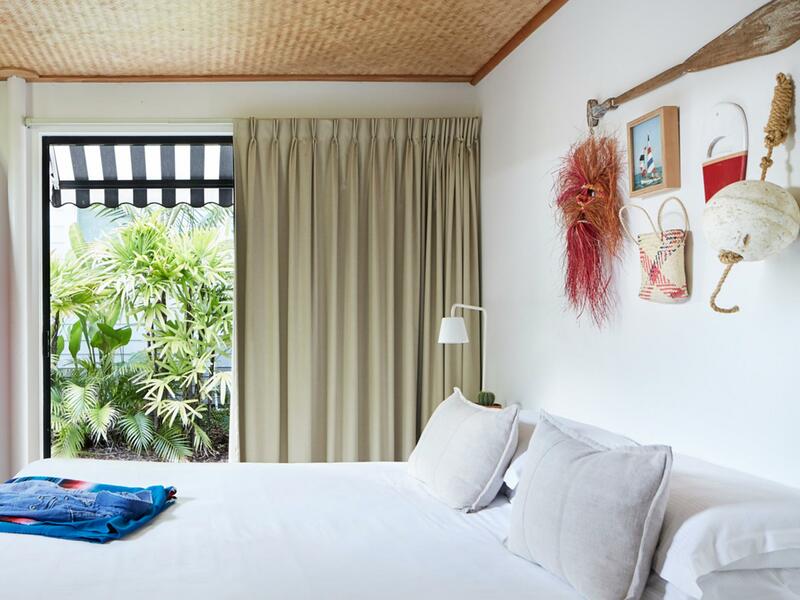 The Atlantic is a lovely and Pinterest-worthy hotel in the quiet side of Byron Bay. Just a few blocks away from the beach, it is the perfect location for discerning travelers. Design, Staff, location! Our stay was lovely and we wanted to extend another night but they were fully booked. I would definitely recommend it for discerning travelers who appreciate good design. There is no breakfast included in the price but there are many cafes and restaurants nearby. You can also opt to buy your own groceries at the nearby woolworths or markets then cook at the shared kitchen. The staff are friendly and the rooms are quite comfortable. Would definitely stay here again! Excellent location, lovely ambience and beautiful accommodation. Too short! Will return for a holiday.